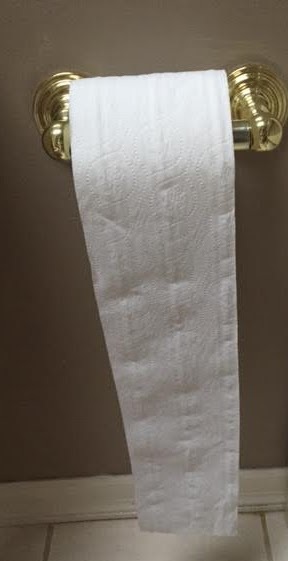 I was sitting on the toilet recently (as I am wont to do) - sorry for the visual - and noticed that the toilet paper was rolling off the roll in the wrong direction. I am definitely an "up over the top" person when it comes to my toilet roll and I get rather upset when it is rolling from down under, as it were. Since I was in the half bath water closet, the one Hubby uses the most, I knew it was he who had replaced the toilet roll and replaced it incorrectly. 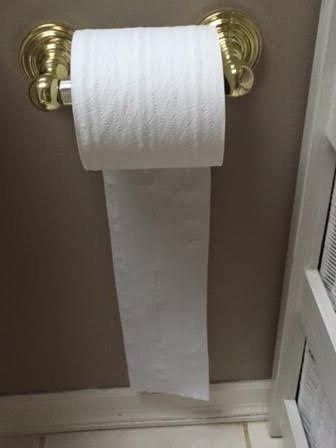 I was irritated that after 31 years of marriage he would not only put it on the wrong way but that he didn't remember that I preferred it the other way. Then I thought, after 31 years of marriage, did he do it on purpose? Was it an act of passive aggression? So then I got to thinking about other little things like that that can harm a marriage. I mean, who hasn't heard about people getting divorced because she always squeezed the toothpaste from the top or he never put the toilet seat down? Sounds extreme but then those little things can add up, especially if they are used to irritate the other partner. And this time of year with all of the stresses of the holiday season, those little things can turn into big things. I mean, who wants to think their spouse has a New Year's Resolution to kick them to the curb? So as a public service - and you know I am always here to help - here are some "little things" that could add up for grounds for divorce. Now I need to preface my list with the fact that I think we get many of our pet peeves from our parents. So my list is rather heavy with the things that drove my Dad crazy. Thanks, Dad, they now drive me crazy. See if you are guilty of any of these. Never putting something back where it belongs. Scotch tape, scissors, the stapler...ever have to go looking for those things all of the time, right when you are in the middle of wrapping a gift or needing to open up one of those products that is so well wrapped in plastic only slicing the thing with scissors can help? I was brought up to put things back where I found them and woe to me if my father could not find the scissors and they were found in my bedroom (we must have not had much money, because why did we only have one pair of scissors?). So I am very good about putting things back where they belong. The Hubby is not. To avoid divorce, I keep an extra pair of scissors in my office and have my own scotch tape and stapler. Taking off his shoes and leaving them where I can fall over them and really hurt myself. This is a serious issue. Did you know that when you get to be a certain age, falling down is such a serious issue that you could die from it? Well, now you know. You could say he might be doing it on purpose, but I don't have life insurance so there really isn't any motivation to knock me off so I just think he's not thinking. Growing up, if my Dad would trip over our shoes, he would have a fit and throw them outside. We were warned. So I carry on the tradition. Hubby has been warned. Let's just say that Hubby is a pacer. He gets bored so he goes off to Costco just for the fun of it or for something to do. But the problem is, he forgets I HAVE A LIST! He gets back from Costco with his new winter wardrobe, a gallon of gin and a new TV and I'm out of chicken broth and canned diced tomatoes. Now this could be the ultimate in passive aggression. For some reason, Hubby carries a cell phone but it is always turned off or he doesn't answer, which is particularly irritating when I actually DO know he has gone to Costco and I remember something else he needs to get that is not on the list. Funny how he never answers the phone when I need him to, but he has no problem pocket dialing me by accident when he is traveling. Hello? Hellooo? Helloooooo? Helloooooo? HUBBY HANG UP THE PHONE!!!! 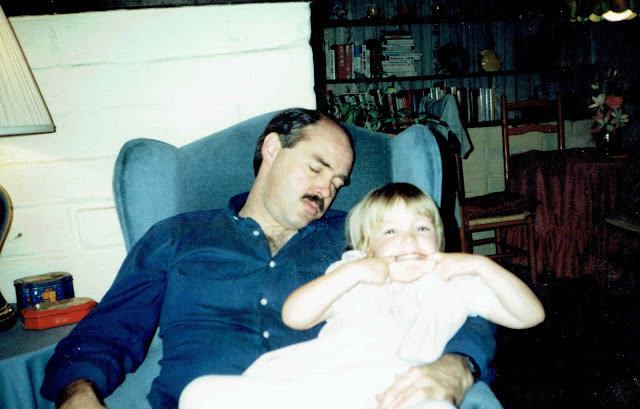 I have always had the suspicion that Hubby was narcoleptic because of his ability to just fall asleep anywhere. When he used to have long commutes from Silicon Valley, he told me that sometimes he would have to pull over because the hot late afternoon sun was lulling him to sleep. His safety while driving home is one thing, but explain to me why, when we are sitting in the living room watching the riveting finale of "The Bachelor" and I say, "Wow. What did you think of that?" when I look over at him, his head is lolled back, mouth gaping open and there is drool. Not sure how long he's been out. Now that is insulting. Yes, I know he gets up earlier than I do but when we finally have quality time together (watching "The Bachelor" together is considered quality time), I can usually expect that he will fall asleep during some of that time and that implies boredom to me. "You are so boring you make me fall asleep" is how that makes me feel. However, I prefer to think of Hubby as the narcoleptic dog. He is so excited to be in my company that he falls asleep. It's an actual phenomenon. I know it's not funny, but this narcoleptic dog gets excited about something like eating or escaping and falls instantly asleep. I don't feed Hubby canned food and I haven't found him asleep with his head in the dog dish yet but it's close. So I like to think that that puts "the pleasure of your company" into a whole "nother category." "I thought" are two of the worst words in the English language when used together as in "I thought it was a good idea to store my six-pack of tonic water on top of the TV" or "I thought you would like a vacuum cleaner for Christmas." "I thought" is the same as assuming and you know what they say when you assume? Another bad word is "You." I know I am guilty of this myself. My Dad told me long ago that "you" was a bad, accusing word as in "You don't care about anyone but yourself" or "You forgot to buy me a birthday present." We know we are supposed to say, "I feel bad when you don't care about anyone but yourself" and "I feel sad when you forget to buy me a birthday present." I guess that's supposed to make saying that stuff better. Yeah, why unbutton your shirt when someone else is around with no time on her hands who will have to unbutton it for you when it comes time for HER to iron YOUR shirt?! ...like telling your significant other she looks fat, old or crabby. Basically, keep your comments to yourself unless they are nice. Didn't your mother tell you that if you couldn't say something nice to shut the...well, she didn't say that exactly but she said "If you can't say something nice, don't say anything at all." Probably good advice. Hubby has never dared say I was putting on weight or that I looked old. However, "crabby" comes up a lot. So that is my personal list of possible grounds for divorce. It may or may not apply to you. I am sure you have your own deal breakers where your spouse or significant other is concerned. But these things have a way of evening out. I know I do things that irritate Hubby, too, such as not allowing him to turn on the heat until I get up (the noise bothers my beauty sleep) and he gets up three hours before I do; making him put up a baby gate at the foot of the stairs so the dogs can't come up and whine at the bedroom door, again, robbing me of much needed beauty sleep. Or my shopping. Seventy-five jackets and counting. Or trying too many new recipes and having too many leftovers. He has mini-meltdowns every couple of days, "Cripes. Who is going to eat all of this food?!" I probably shouldn't be dwelling on negatives. This time of year we are supposed to count our blessings. And I do. I have Hubby, two successful, happily married children, grandchildren, three dogs who love me very much, we live comfortably, I am enjoying being retired, and I have my health (so far). I know I probably can't change any of these little irritants on my list. When we first get into a relationship, we think we can change our partners. But in the end, we can only change ourselves and how we react to what bothers us. I can choose to get upset every time I can't find the scissors (most of the time I do) or I can choose to make a fuss every time I have to unbutton Hubby's shirts to iron them (I don't). In general, after 31 years of marriage, I realize it's too late to change HIM. I have to change ME. I have to change how I react to all of those things that irritate me so much. And I can certainly try to change those things that irritate him about ME. So what better time of year than now to make some changes, some New Year's Resolutions, if you will? No, not to get a divorce over trivial irritants. 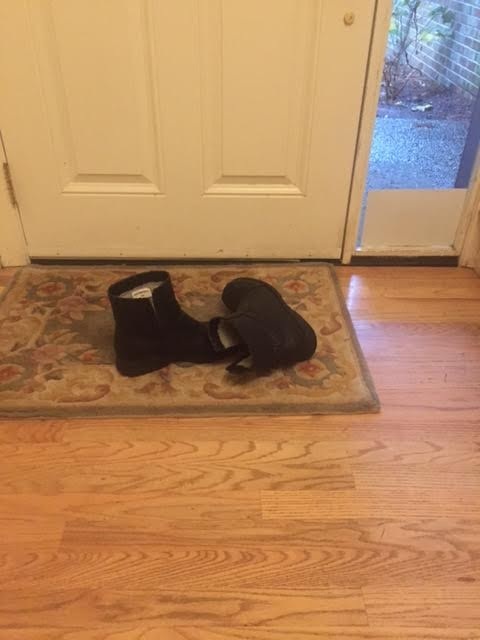 But to resolve to not let those everyday issues get in the way of the big picture and cause marital discord- to realize that I love that guy even if he falls asleep during "The Amazing Race" and leaves his shoes where I could trip over them and die. And I resolve to work on the issues that irritate him like making so much food and feeling like I need another jacket. But dammit, that toilet roll better roll off the top! I am totally with you on the toilet paper issue. Oddly enough this was something my dad thought was the correct way to install the roll. I had a moment of awe at 75 jackets!! Do any of them have shoulder pads? That could mean it's time to weed out a few or as I have done, cut the shoulder pads out. I did that once and discovered nothing hangs right after. If I was a seamstress I would have known. But then I did an even stranger thing....I kept all the shoulder pads I cut out. This was when I was younger so it wasn't old age. Cleaning the closet I found the pillowcase full of shoulder pads....what insane person would keep a pillowcase full of old shoulder pads? I still marvel at that. Your post reminds me why it's so good to have dogs. 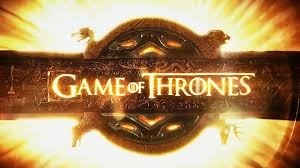 They are incapable of ever doing the wrong thing to piss you off...mostly. Lol. Dolly Parton talks about cutting the shoulder pads out of her grandmother's coat and using them as falsies! You wouldn't think she would have needed them!